Just 4 You, LLC is a full-service Kitchen & Bath dealer concentrating on the medium to higher end of the market. Working on both new build and remodel projects, clients will benefit from our extensive design experience and service commitment, as well as choosing from four distinct levels of quality cabinetry. You will work exclusively with Tom, an award winning accredited designer and owner of the firm throughout the entire process. 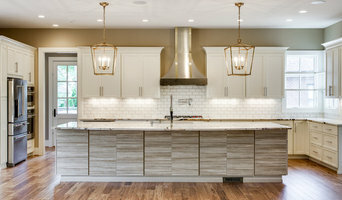 In addition to designing the space, producing your plans and cabinet specifications, he will develop a lighting plan, assist in your appliance selections, and coordinate the fabrication and installation of all countertop & backsplash materials. As a consistent winner of Houzz Awards for Design & Service Excellence, Tom is considered the most professional and trusted resource partner. Lifestyle Kitchen and Bath works to transform and customize your design dreams into a reality! We have over 20 years experience in the kitchen and bath industry and can accommodate projects of all sizes. Call us for a free consultation so we can elaborate on our process and services and customize a project to fit your needs. 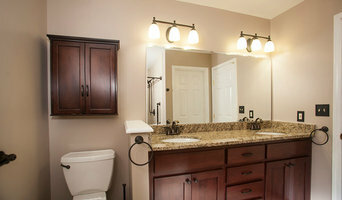 Maeser Master Services is a full remodeling source for your bathroom in the Louisville, Kentucky area. We provide everything you need including custom design, carpentry, all materials, plumbing, fixtures, and other skills required to remodel your bathroom quickly and cost effectively. Financing options are available! We’ll lead you through the renovation process from start to finish and make the process simple, affordable and fast! We can take care of every aspect of your bathroom remodel with a beautiful custom-quality bathroom design giving you exceptional customer service and knowledgeable assistance throughout the entire process. Plus, we only use suppliers that focus on reliability and inspire style and use top quality fixtures and products. From demo to paint, we can give a new feel to your whole home, whether it is a half bath or a master suite. We can even create a bathroom where there wasn’t one before. If your bathroom is in need of a new look, or if it is running on an old and outdated plumbing system, Maeser can get the job done. We can make sure that your bathroom is fully equipped with everything it needs to look, feel and operate more efficiently. Visit the Maeser Bath Design Studio where you will see not only actual bathroom scenes, but examples of lighting, flooring, tile, shower walls, counter tops, custom-made vanities, fixtures, mirrors and so much more. Trust this family-owned company that has serviced the Louisville, Kentucky area since 1975. Call today to speak with one of our Home Comfort Specialists. Stephanie Watson - Mike's Woodworking, Inc.
Mike's Woodworking is a full custom cabinet company that provides high quality cabinetry, design, and service. As a designer, with a degree in Interior Design at Louisville Technical Institute, I enjoy working close with my customers on their project and strive to create beautiful spaces with attention to detail, design, color, space, function, and budget. Mike's offers a wide range of door styles as well as stains and finishes. Not only do we specialize in Kitchen and Bath Design, we also do Laundry Rooms, Entertainment Centers, Closets, and Bookcases. 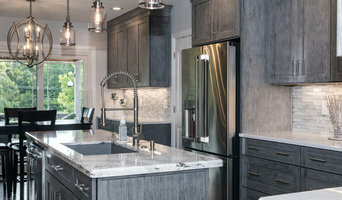 Amanda Napier - M & H Custom Cabinets, Inc.
From rustic to elegant, traditional to industrial and from cottage to contemporary, we pride ourselves on the craftsmanship that will provide you with the best in the industry. We work thoughtfully with each customer to ensure that each new space is a reflection of the you and your family's individual personality. With an Interior Design degree from the University of Kentucky, I held a passion for fine design and space planning. Influenced by my experiences while interning in Chicago's Merchandise Mart and studying abroad in Italy, I was exposed to a myriad of styles, color theories, architecture, and design philosophies. I began my kitchen design career in 2000 fresh out of college. Over the years I have had the privilege to have a kitchen featured in "Louisville's 2016 Tour of Remodeled Homes", I've been featured in Louisville's "Today's Woman" magazine and have collected a number of kitchen cabinetry design and custom service awards. Exceptional design and execution of custom kitchens and closets. Corvin’s Floor Coverings is a family owned and operated business and has been serving Hardin County and the surrounding areas for two generations. Here at Corvin’s we can take care of all of your flooring, interiors design, kitchen and bath remodeling needs from design and layout to installation. Our dedicated and professional staff stands ready to provide courteous and expert advice. We believe in providing top quality floor coverings at reasonable prices with reliable service. Our team members are trained in flooring and design to help you find the perfect floor for the way you live. In our large and conveniently located showroom you can select from hundreds of colors and styles in carpeting, ceramic tile, vinyl floor coverings, laminate flooring and wood floors. We even offer area rugs and made-to-order floor coverings to meet special needs. Our team is standing by ready to help you take that first step onto your new floor. We have been in business since 1926. Originally founded as a simple plumbing business and now three generations and 90 years later, we carry on the tradition of integrity, personal service and quality products. Most of our product groupings have two to three pricing levels in order to help accommodate different project budgets. Whether you are looking for information, a single product or in-depth professional help for a complete remodel or new construction our experienced designers and support staff will enjoy serving you. You will quickly learn that our entire staff is professional, enthusiastic, interested and accommodating. Our designers will politely and without sales pressure, present our ideas and information to you. We will guide you in the selection of products such as cabinetry, countertops, flooring, lighting and plumbing fixtures and more before your project begins. Throughout the years, we have designed thousands of kitchens and bathrooms and we do understand what an overwhelming yet exciting experience this can be. We thoroughly enjoy designing and the process of working with our customers. So, when you are considering updating or remodeling your kitchen or bathroom and you want experienced and pleasant assistance, please give us a call or visit our showroom. I design kitchens, bathrooms, closets, bars, and much more. 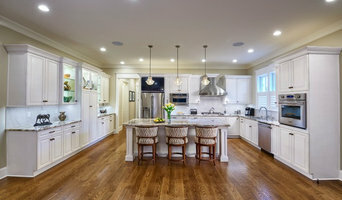 What does a Crestwood kitchen designer or bathroom designer do? A kitchen and bath design professional in Crestwood, KY knows to take all of these crucial points into consideration and can help plan the layout, materials and overall look and feel of either of these rooms in your home. Kitchen designers, as well as bathroom designers, are constantly staying on top of trends in the ever-changing industry. The designer also knows the best layout for your room, and can configure the layout for optimal functionality and utilization of the space. In the kitchen the refrigerator, stove and sink should be laid out in relation to one another, and it should be seamless and easy to move from one to the other. A Crestwood kitchen and bath designer will know how to work with a contractor and architect to plan the flow of the room to work best for your needs. Here are some related professionals and vendors to complement the work of kitchen & bath designers: Kitchen & Bath Fixtures, Appliances, Tile, Stone & Countertops, Cabinets & Cabinetry, Woodworkers & Carpenters. Before you talk to bath and kitchen designers in Crestwood, KY, consider how you will use the room. For your bathroom, is it necessary to have a bathtub for bathing kids or pets, or would a shower suffice? Perhaps all you need is a half bath for downstairs or a smaller guest bath for occasional use. Similarly, for kitchen renovations consider your cooking habits. Do you eat out every night but need a space to entertain in? If so, a smaller kitchen might be fine for you, with a space devoted to wine storage or a bar, whereas others might prefer a bigger stove or extra cabinets. When interviewing Crestwood kitchen and bath designers, make sure to share these habits so they can best fit the room to suit your needs. Find a Crestwood kitchen designer or bathroom designer on Houzz. 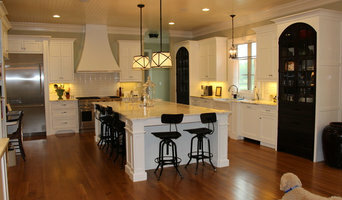 Narrow your search in the Professionals section of the website to Crestwood, KY kitchen and bath designers. You can also look through photos in Crestwood, KY to find a kitchen or bathroom you like, then contact the professional who designed it.